The blurb on the back reads: Carly Morneau finally has everything she’s ever wanted: a tight-knit group of friends, a perfect boyfriend, and the supernatural ability to shapeshift into her primary form as a small, white fox. Life in the shoreside town of Sterling, Minnesota can’t get any better—that is, until Carly learns that her boyfriend, Gabriel, has a secret that rips them apart, and that the legends surrounding her existence as a shapeshifter may hold more truth than she ever thought possible. Now she is left to confide in the most unlikely person, and together she and Abel will do whatever it takes to keep their family and friends safe. I can't put into words how excited I am to finally see Legends in print. In my mind, I'm still just a girl who likes to write stories, so the fact that other people are able to take a peek into my imagination hasn't lost its awe. I've been so obsessed with revising book 3, Broken, that I haven't really stopped to ponder the release of Legends. [It's very easy to get ahead of myself when I've got the series in its entirety floating around in my brain.] 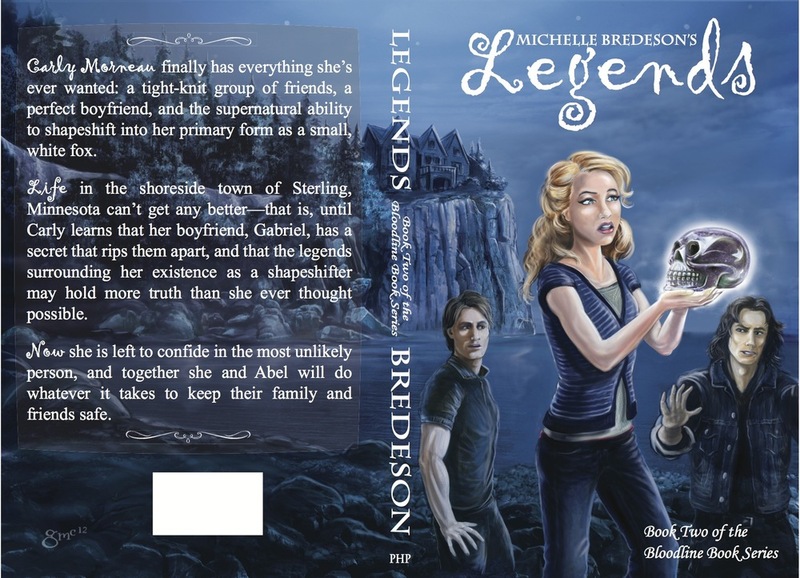 What I remember now is how very much I love Legends, and how I couldn't wait to write it even before Legacy was finished. The most important thing as a writer is to love what you write. That way if no one else likes it, even if they hate it, it won't matter—because you've given the world a story that you'll never want to leave.